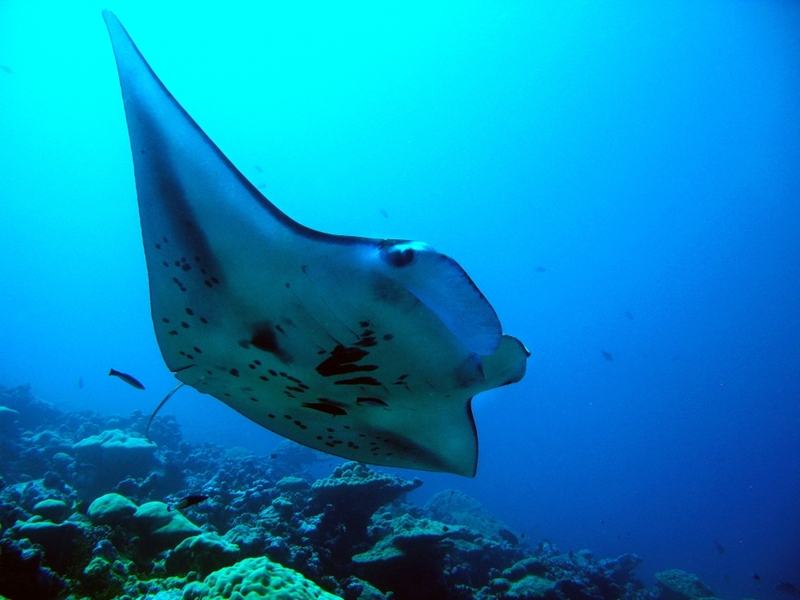 Manta alfredi, the species the researchers studied on Palmyra Atoll in the central Pacific. 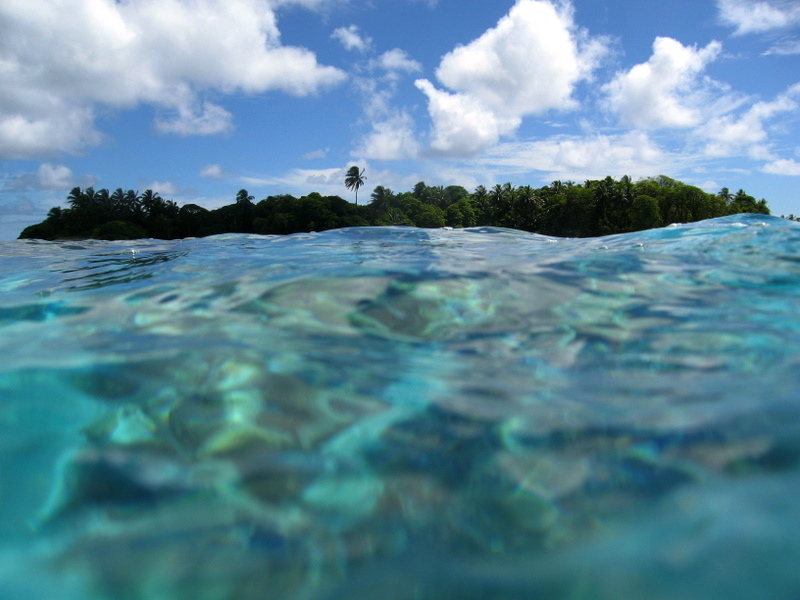 The islets of Palmyra Atoll enclose a series of lagoons that were found to be important habitats for manta rays. 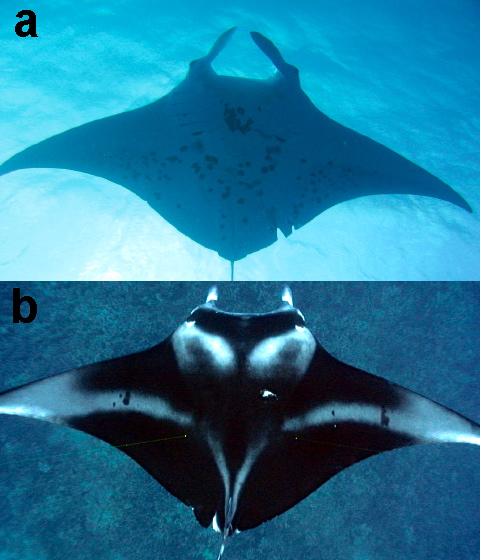 Unique patterns of spots on the underside of mantas (a) identify individual mantas while underwater imaging (b) accurately sizes each photographed animal. UCSB's Doug McCauley tagging manta rays at night on Palmyra Atoll.